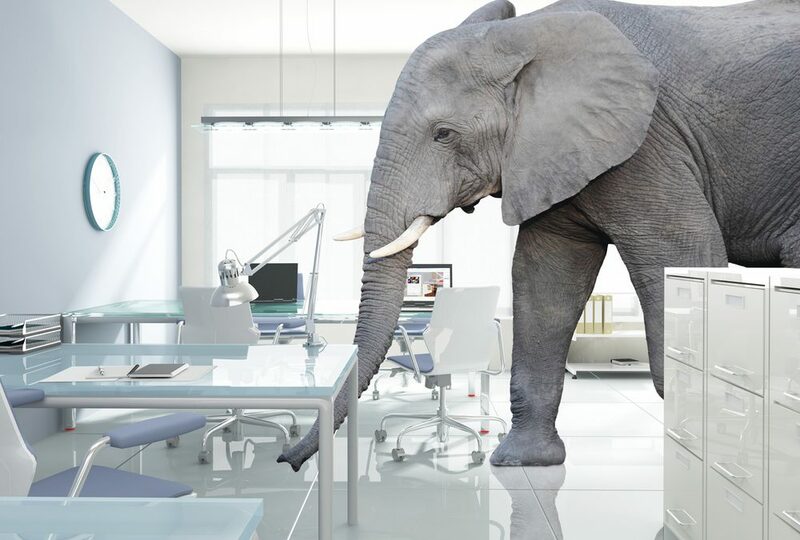 Do you have any elephants in the rooms of your organization? Are there issues that that are big, but for some reason, you are just ignoring? If so, you are not alone. In fact, just about every client we have has at least one elephant in the room. For each scenario, there are slightly different solutions. I don’t have a silver bullet or magic wand that will get rid of all the elephants, but I know there are two things you must do. First, you must recognise the elephant—call it out—don’t let it hide, Everyone knows it is there, but they seem too scared to talk about it. Second, the elephant has to be removed. We are working with our clients to help them (in most cases) remove the elephant now that it has been called out! So, what are these elephants? There are many, but these might be some that you recognize. This list is not comprehensive or universal, but it should get you thinking about the elephants in your rooms and how will you get rid of them! Your organization lacks a sales culture, or at the very least, does not truly respect the sponsorship/fund raising/development department. In some cases, these departments are the “dirty” folks who take money, or are looked upon as cash cows and nothing more. You sponsorship department/person is told to go out and generate, say, $250,000 each year, but you have no inventory of assets or valuations, and if you did, you might find that you can only ethically raise $100,000 a year. 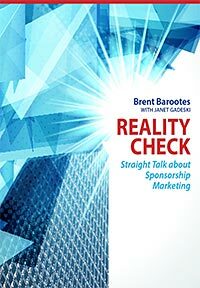 Sponsorship is just a budget line used to balance the budget before being presented to the board for approval—and that budget goal is never met anyway. Talk about pie in the sky leadership! Your organization does not have a revenue problem—it has a spending problem. You are generating enough money, but the budget is not being maintained, you spend like drunken sailors throughout the year, and sponsorship is told to go find “more money” before the end of the year. So much for buying what was budgeted for. You are understaffed. You have one or 1.5 salespeople and are generating $1 million a year, but have no fulfilment support. Or you have a .25 FTE (full-time person) who has other responsibilities. Sponsorship is pushed aside and then people get mad when the revenue is not brought in. You don’t budget for professional development for your sponsorship staff, but expect them to meet prospects, build relationships, and understand industry trends. None of these might be your elephants, but I’m sure you have some. Identify them and then figure out how you can get them out of the room!